Research Center CIOP (Computational Intelligence, Optimization and Data Mining) TH Köln - University of Applied Science, 2018, (submitted to Archives of Data Sciences, Series A (ECDA'2018), preprint available at http://www.gm.fh-koeln.de/ciopwebpub/Thill18a.d/AoDS2018.pdf). Research Center CIOP (Computational Intelligence, Optimization and Data Mining) Cologne University of Applied Science, Faculty of Computer Science and Engineering Science, (02/2018), 2018, (Last update: April 2018 (original version: 2012)). Research Center CIOP (Computational Intelligence, Optimization and Data Mining) Cologne University of Applied Science, Faculty of Computer Science and Engineering Science, (03/2018), 2018, (Last update: April 2018 (original version: 2012)). Hoffmann, Frank; Hüllermeier, Eyke (Hrsg. ): Proceedings 27. Workshop Computational Intelligence, S. 243-259, Universitätsverlag Karlsruhe, 2017. Hoffmann, Frank; Hüllermeier, Eyke (Hrsg. ): Proceedings 27. Workshop Computational Intelligence, S. 67-71, Universitätsverlag Karlsruhe, 2017. Bosman, Peter A N (Hrsg. ): Genetic and Evolutionary Computation Conference 2017 (GECCO'17), Berlin, S. 1, ACM, 2017. Valenzuela, Olga; Rojas, Ignacio; others, (Hrsg. ): International Work-Conference on Time Series (ITISE2017), 2017. 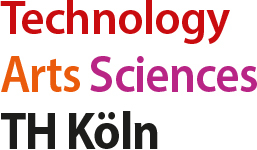 Research Center CIOP (Computational Intelligence, Optimization and Data Mining) Cologne University of Applied Science, 2017, (e-print published at http://www.gm.fh-koeln.de/ciopwebpub/Kone17a.d/TR-GBG.pdf). Applied Soft Computing, 61 , S. 377-393, 2017, ISSN: 1568-4946. IEEE Conference on Evolving and Adaptive Intelligent Systems (EAIS 2017), S. 1, Springer 2017. Jin, Yaochu (Hrsg. ): SSCI'2016, Athens, S. 1, IEEE, 2016, (Best Student Paper Award). Tan, Kay Chen (Hrsg. ): WCCI'2016, Vancouver, S. 1924–1931, IEEE, 2016. Research Center CIOP (Computational Intelligence, Optimization and Data Mining) Cologne University of Applied Science, 2016, (e-print published at http://arxiv.org/abs/1603.06433). IEEE Transactions on Computational Intelligence and AI in Games, 8 (1), S. 33-42, 2016, (accepted 11/2014). Research Center CIOP (Computational Intelligence, Optimization and Data Mining) Cologne University of Applied Science, Faculty of Computer Science and Engineering Science, (06/15; arXiv: 1512.09251), 2015, ISSN: 2191-365X, (e-print published at http://arxiv.org/abs/1512.09251). Hoffmann, Frank ; Hüllermeier, Eyke (Hrsg. ): Proceedings 25. Workshop Computational Intelligence, S. 87-98, Universitätsverlag Karlsruhe, 2015, (Young Author Award GMA-CI). Research Center CIOP (Computational Intelligence, Optimization and Data Mining) Cologne University of Applied Sciences, 2015. Jiménez-Laredo, Juan Luis (Hrsg. ): Proceedings of the 17th Genetic and Evolutionary Computation Conference (GECCO'15), 2015. Lausen, Berthold ; Krolak-Schwerdt, Sabine (Hrsg. ): Data Science, Learning by Latent Structures, and Knowledge Discovery, S. 191–201, Springer, 2015. Applied Soft Computing, 29 , S. 357-370, 2015. Research Center CIOP (Computational Intelligence, Optimization and Data Mining) Cologne University of Applied Science, 2015, (Updated version 2015). Research Center CIOP (Computational Intelligence, Optimization and Data Mining) Cologne University of Applied Science, 2015. Bartz-Beielstein, T; Filipic, B (Hrsg. ): PPSN'2014: 13th International Conference on Parallel Problem Solving From Nature, Ljubljana, S. 292–301, Springer, Heidelberg, 2014. Journal of Neurosurgery, 121 (3), S. 688 – 699, 2014.
and has become an important tool in the neurosurgical armamentarium. images, which increase the field of view during neuroendoscopic procedures. or circular endoscope movements were performed in cadaveric ventricles. ventricle with the help of the Kourogi or LogSearch (LS) algorithm. surgery. The fastest frame rate was 3-4 frames/second. algorithm in linear endoscopic movement with or without a stand. the experimental paradigms was satisfying. CIplus (TR 03/2014), 2014, (Preprint version of the article in IEEE Transactions on Computational Intelligence and AI in Games, 2016). Hoffmann, Frank ; Hüllermeier, Eyke (Hrsg. ): Proceedings 24. Workshop Computational Intelligence, S. 119–134, Universitätsverlag Karlsruhe, 2014, (Young Author Award GMA-CI). Preuss, Mike ; Rudolph, Günther (Hrsg. ): CIG'2014, International Conference on Computational Intelligence in Games, Dortmund, S. 84 – 91, 2014. Becker, Klaus ; others, (Hrsg. ): Die Wissenschaft von der Praxis denken - Festschrift für Joachim Metzner zum 70. Geburtstag, S. 238 – 250, Verlag H. Schmidt, Mainz, 2013. Hoffmann, Frank ; Hüllermeier, Eyke (Hrsg. ): Proceedings 23. Workshop Computational Intelligence, S. 119–134, Universitätsverlag Karlsruhe, 2013. Lausen, Berthold (Hrsg. ): European Conference on Data Analysis (ECDA13), GfKl, 2013. Research Center CIOP (Computational Intelligence, Optimization and Data Mining) Cologne University of Applied Science, Faculty of Computer Science and Engineering Science, (02/2012), 2012, (Last update: June 2017). Research Center CIOP (Computational Intelligence, Optimization and Data Mining) Cologne University of Applied Science, Faculty of Computer Science and Engineering Science, (03/2012), 2012, (Last update: May, 2016). Coello Coello, Carlos ; Cutello, Vincenzo ; others, (Hrsg. ): PPSN'2012: 12th International Conference on Parallel Problem Solving From Nature, Taormina, S. 195–205, Springer, Heidelberg, 2012. Coello Coello, Carlos ; Cutello, Vincenzo ; others, (Hrsg. ): PPSN'2012: 12th International Conference on Parallel Problem Solving From Nature, Taormina, S. 184–194, Springer, Heidelberg, 2012. Evolutionary Intelligence, 5 , S. 153–170, 2012. Research Center CIOP (Computational Intelligence, Optimization and Data Mining) Cologne University of Applied Science, Faculty of Computer Science and Engineering Science, (08/11), 2011, ISSN: 2191-365X. Research Center CIOP (Computational Intelligence, Optimization and Data Mining) Cologne University of Applied Science, Faculty of Computer Science and Engineering Science, (09/11), 2011, ISSN: 2191-365X. Research Center CIOP (Computational Intelligence, Optimization andData Mining) Cologne University of Applied Science, Faculty of Computer Scienceand Engineering Science, (06/11), 2011, ISSN: 2191-365X. Research Center CIOP (Computational Intelligence, Optimization and Data Mining) Cologne University of Applied Science, Faculty of Computer Science and Engineering Science, (05/11; arXiv: 1105.1951), 2011, ISSN: 2191-365X, (e-print published at http://arxiv.org/abs/1105.1951 and Dagstuhl Preprint Archive, Workshop 11181 "Organic Computing -- Design of Self-Organizing Systems"). Research Center CIOP (Computational Intelligence, Optimization and Data Mining) Cologne University of Applied Science, Faculty of Computer Scienceand Engineering Science, (04/11), 2011, ISSN: 2191-365X. Cologne University of Applied Sciences (03/11), 2011. Proceedings of the 13th annual conference companion on Genetic and evolutionary computation, S. 119–120, ACM, Dublin, Ireland, 2011, ISBN: 978-1-4503-0690-4. Hoffmann, Frank ; Hüllermeier, Eyke (Hrsg. ): Proceedings 21. Workshop Computational Intelligence, S. 119–134, Universitätsverlag Karlsruhe, 2011. Hoffmann, Frank ; Hüllermeier, Eyke (Hrsg. ): Proceedings 21. Workshop Computational Intelligence, S. 147–160, Universitätsverlag Karlsruhe, 2011. Krasnogor, Natalio (Hrsg. ): GECCO '11: Proceedings of the 13th Annual Conference on Genetic andEvolutionary Computation, S. 1995–2002, 2011.
International Journal of Innovative Computing and Applications (IJICA), 3 (1), S. 3–10, 2011. Research Center CIOP (Computational Intelligence, Optimization and Data Mining) Cologne University of Applied Science, Faculty of Computer Science and Engineering Science, (03/10), 2010, ISSN: 2191-365X. Research Center CIOP (Computational Intelligence, Optimization and Data Mining) Faculty of Computer Science and Engineering Science, Cologne University of Applied Sciences, Germany, (02/10), 2010, ISSN: 2191-365X.